Our professional pool table movers will take care of moving your pool table for you. Don’t risk damaging it by moving it yourself! Pool tables are huge and extremely fragile pieces of furniture that can prove to be very risky and even dangerous to move. If mishandled, it can be damaged easily, and may even pose a injury risk to the mover. This is why we strongly recommend relying on Rentalorry’s highly professional pool table movers to help you move your pool tables in the safest way possible. With Rentalorry, you can be assured that our movers are skilled in the process of dismantling, handling and re-assembly of your pool tables. We have a small pool table at our place and we needed to move it to our new home. We tried dismantling it by ourselves but it was a little more complicated than expected and that is why we approached Rentalorry. Their movers made it seem a lot easier and everything was brought to our new home quicker than expected. Would definitely engage their services again. The previous pool table that we used to engage had retired so we had to find another mover to help us relocate our pool table. The quote that Rentalorry provided was quite okay and that was why we chose them. Everything was carried out smoothly and they also assembled the pool table for us properly. Would recommend their services to my other friends. Our movers at Rentalorry are specifically trained to handle such a complex task. Using special tools, our movers will slowly dismantle the table. Blankets may be laid down to protect your floors, and the table will be stored carefully and transported to your new location. The re-installation will then be done, with another round of proper inspection to ensure that the pool table is in tip-top condition before we hand the pool table back to you. This high level of professionalism is a testament to our credibility in transporting your pool tables in the safest way possible. During inspection, our professional pool table movers will be able to provide you with advice on how you will be able to maintain your pool table in its best condition, including advice on leveling and calibrating your pool table. 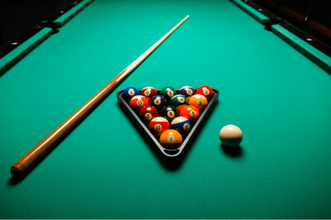 At the same time, in the event of any unforeseen circumstances in the whole moving process, any damage to your pool tables become our responsibility. As much as we will do our best to avoid such a situation, you can have our guarantee that we will bear the full cost of any damages done to your pool tables while it is with us. At Rentalorry, we pride ourselves in being efficient movers, because we understand that your time is precious. Even in the most tedious jobs such as pool table moving, our movers are well-skilled to handle your pool table in an efficient manner, so that your pool table is moved fast to your new location, saving you time and money. Here at Rentalorry, we assure all our customers tip-top quality and safety in our services. Having a large pool of highly-trained movers to move your items and vehicles with top-notch suspension systems and power steering, your goods are guaranteed to be in good hands throughout the transport process. We boast having one of the best prices in town, so do engage us whenever you need!